Many of you may already know Ms. Forde's Classroom from her Facebook page. 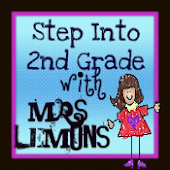 Well, during the summer she started a blog to share even more ideas and resources. 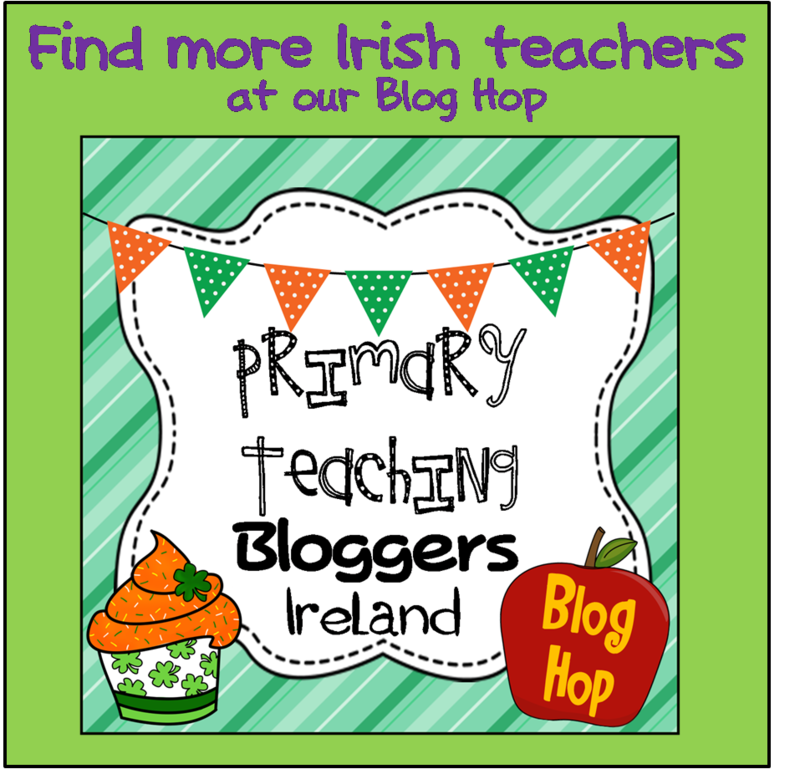 She has some fantastic resources, many specifically for Irish teachers but others that are useful further afield (in fact, I often wander into my colleague's classroom in Italy and recognise Ms. Forde's creations on her walls!). She has a TPT store which has lots of freebies along with the paid resources. 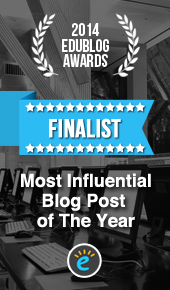 It's definitely worth checking out! 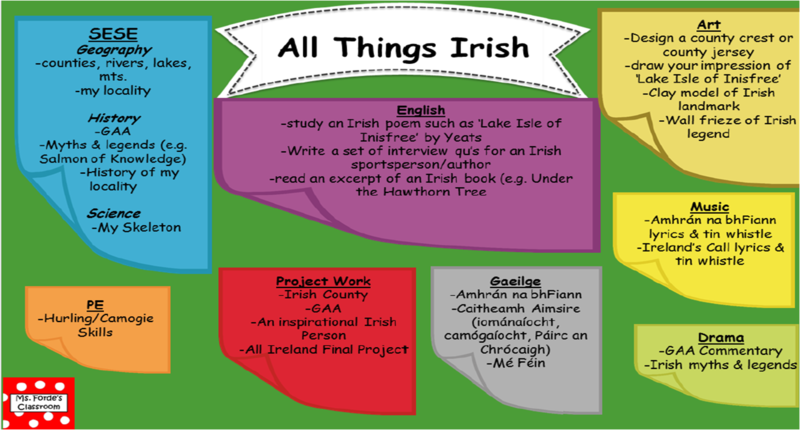 One of her most notable freebies is the All-Ireland Final Resource Pack which was downloaded by hundreds of Irish teachers! 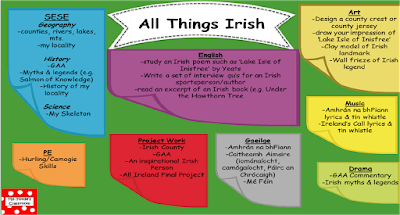 Another favourite is her thematic planning template which she shared for free at the end of last month with lots of ideas on how to integrate subjects under the theme of "All Things Irish." Have a look at her blog post outlining how it could be done here. This was very topical considering September is All-Ireland month and the Irish team are on the road to the Rugby World Cup. 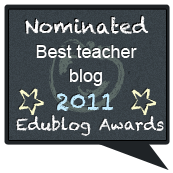 Judging by the quality of resources and ideas Ms. Forde has already shared, I'm really looking forward to see how her blog continues.